When looking for the best in live entertainment, we have you covered. With a variety of Cleveland's best musicians, airbrush artists, magicians and dancers, our performers will have your guests thanking you for bringing them in. 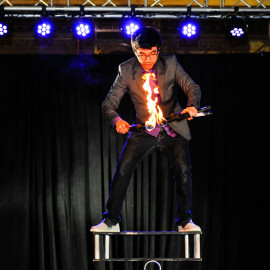 We even feature specialty acts such as a Guinness World Record Strongman and unbelievable fire shows. 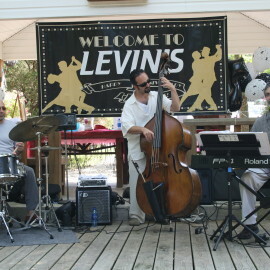 Browse our live entertainers and let us know about the one or several you would like to book for you event! Don't see what your looking for? No problem! Let us know and we can get you what you need! Are you looking for the ultimate band or musical act at your next Cleveland area party, festival, wedding or corporate function? Look no further! We provide entertaining and talented music acts all across Ohio! Solo singer, steel drummers, A cappella groups and full size bands are all available to add extra excitement to your next party! If your looking to add one of the most in demand types of entertainment to your corporate function or private engagement, a magician may be your answer. We only work with the best magicians in the Cleveland area who can provide both close-up strolling shows or large illusion shows for any event. 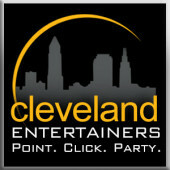 Owner of Cleveland Entertainers and lead magician, Rick Smith Jr. will put on a show you have to see to believe. Don't Blink! Our stunt jugglers are some of the best in the nation and have been featured on Good Morning America, Ellen DeGeneres and numerous other national TV shows! 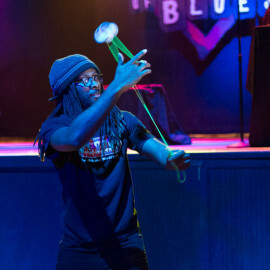 Jugglers can either stroll though the crowd or perform a full show for you and your guests! Stunning feats include juggling knives, fire and even chainsaws! Incredible balancing of ladders, chairs, and tables! Your friends and family have to see this to believe it! 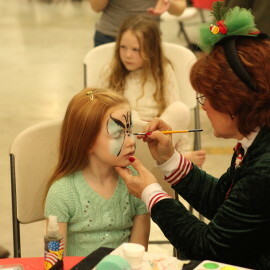 Our face painting professionals can provide one-of-a-kind creations for all of your attendees. All of our artists work quickly yet precisely to ensure I have a customer every time! And we ALWAYS use paint that is both non-toxic and non-allergenic to all of its recipients! 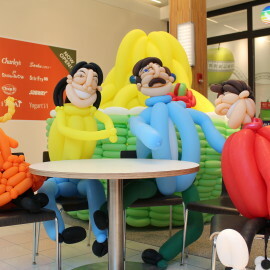 There is nothing quite like an amazing balloon sculpture. Our world-class balloon artist can produce amazing balloon creations for Family parties, festivals and corporate functions. Our balloon twisters can create nearly anything a guest house and mind! Additionally, they can design large custom sculptures perfect for grand openings, product releases and more! Who doesn't love a good laugh? Here at Cleveland entertainers, we sure do! We have only the best clowns in the Northeast Ohio area available for private parties, holiday events, Community festivals and more! 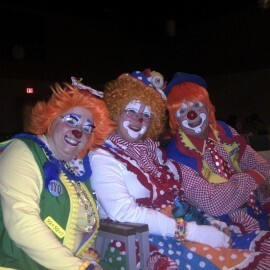 Our clowns can provide a hilarious show with jokes, gags, pranks and more! Contact us today to book a clown for your next party! 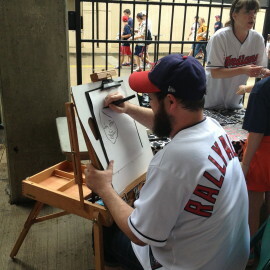 One of our hottest live entertainment options is caricature artist! Our artists are some of the best in the industry and provide quick yet amazing pieces of artwork for couples, individuals and families at your next graduation party, wedding or corporate function. Contact us today to book a caricature artist for your next party! 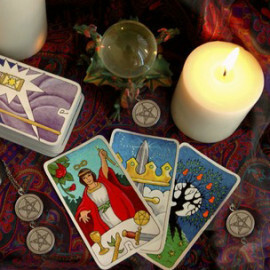 Live psychic readings for any event! high above the rest, amazing stilt walkers! Look up! 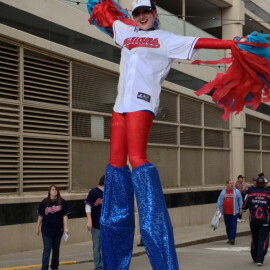 Cleveland Entertainers offers talented and friendly stilt walkers will stroll high above the crowd at festivals, graduation parties and more! Your guests will love taking pictures with these human giants! 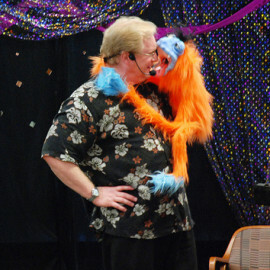 fun ventriloquist acts for all ages! Now this is what we call "live" entertainment! 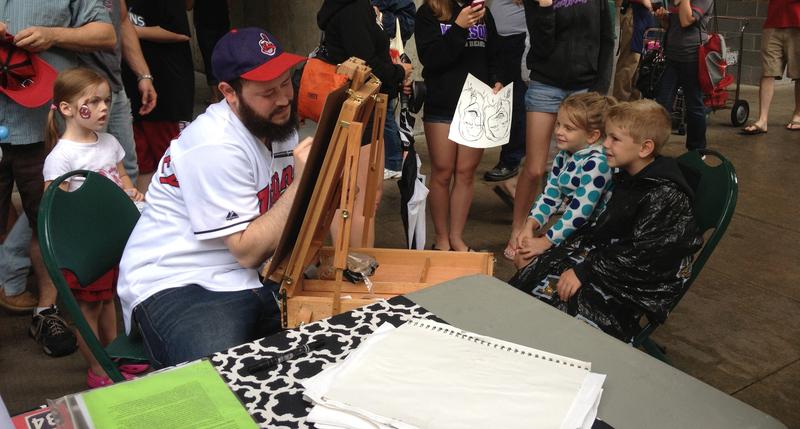 Cleveland Entertainers offers some of the best animal handlers and animal shows in the area. 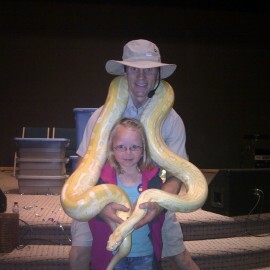 Shows can range anywhere from 20 to 60 minutes and include reptiles, mammals, birds, and more! All of our trainers are 100% insured and certified in their respective fields. Both kids and adults alike will love seeing and learning about these animals as well as having a chance to pet and hold these friendly creatures! So you think you can dance? Just wait until you see the dance groups Cleveland Entertainers has to offer. 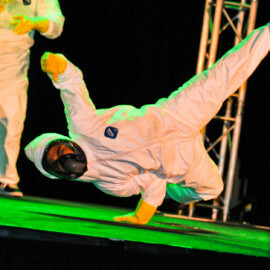 With dancers and nearly every genre, we have an act that will be perfect for your next party. 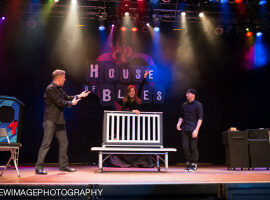 You can utilize our dancers as an opening act for a fully staged production. Additionally you can add professional lighting, DJs and more to enhance the quality of the show! Contact us today to learn more! HOT, HOT, HOT! Want to add some entertainment that will really light up the room? 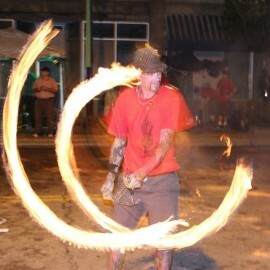 Book a fire show for your next corporate function, community block party or public festival. Our fire professionals will perform incredible feats combining juggling balance and more all while keeping the audience on the edge of their seats! All fire acts are fully insured and make safety A top priority so you can just sit back and enjoy the show! strongmen, yo-yo artists and more! If you're looking for something extra different asked us about one of our specialty apps. Ranging from yo-yo jugglers to get Guinness world record strongmen, we have a handful of non-traditional acts your guests have never seen before.